A theory of argumentation is underwritten by a philosophical conception of reasonableness. This standard of reasonableness takes into account the normative character of argumentation. That is, participants engaged in argumentative discussions (of all sorts) assert and defend normative judgments not only about the content of the reasons put forth, but also issue normative evaluations of the character of their own and their interlocutors’ reasons. A philosophical conception of reasonablness explicates the sources, conditions, and consequences of the explicit as well as tacit criteria participants (including argumentation theorists) use to render normative judgments about the form and content of reasoning practices. Given the fact of reasonable pluralism, democratic legitimacy must be constructed from the process of public justification in the face of social controversy rather than found in the contents of a universal reason, the procedures of rational choice, the conditions set out in natural law cosmologies, or the laws set out in a deep-structure social theory (Unger, 1987). That is, an account of democratic legitimacy is underwritten by a theory of argumentation and a philosophical conception of reasonableness; hence, the importance of accounts of public justification in contemporary liberal-democratic theory. One of the most pressing task for liberal democratic theory is the construction of a conception of reasonableness that could guide persons in their projects of constructing ways to live together in the face of pluralism in a just manner. It is at this point that a theory of argument and a theory of deliberative democracy need to converge. While the field has geometric, anthropological, epistemic, and critical-rationalist accounts of reasonableness it has yet to formulate a public/political conception of reasonableness. Such an account would focus on the critical functions invocations of reasonableness plays in actual instances of public justification. I contend that the ideal of public reason as set out by Kant and Rawls, if amended to account for the critical use of the concept in actual argumentation, provides a good starting place for formulating a public-political standard of reasonableness. I begin by examining some of the ways in which reasonableness is conceptualized in argumentation theory and advocate a conception attuned to the ways reasonableness is used as a critical standard by participants to regulate argumentative discussions. I then sketch how the ideal of public reason can be amended to serve as a public/political conception of reasonableness that underwrites a deliberative account of democracy. Often tacit in our argumentative practices and manifest in our philosophical reflection is the distinction between the reasonable and the rational. When we act “rationally,” we pursue our self-interest in an manner that follows from a set of logically derived principles that do not take into consideration the beliefs, knowledge, experiences or interests of others unless they are central to the maximization of our own interests. That is, to act rationally is to act in an instrumentally intelligent, self-interested way. To act reasonably, on the other hand, is to “restrain our pursuit of self-interest by acting in accordance with principles that fix fair terms of cooperation” (Keating, 1996: 312). Reasonable people reconcile conflicting aims and interests by looking for the terms by which their actions would be judged as legitimate by others in their community and to the best of their ability regulating their actions in light of those terms. The social and situated character of reasonableness is often cause for conceptualizing reasonableness in descriptive terms while those prone to conflate the rational and reasonable conceptualize reasonableness in normative terms. I think this is a mistake for two reasons: a purely descriptive or normative account of reasonableness is inadequate and both fail to recognize the “critical” functions standards of reasonableness play in argumentative discussions. A purely descriptive account of reasonableness, one that seeks only to describe the accounts of reasonableness prevalent in particular discursive communities, is incapable of guiding evaluations of argumentative practices. That is, it is “empty” to the extent that it can’t tell us the difference between a good and bad argument or between a legitimate or illegitimate practice. Thus, in terms of democratic legitimacy, there may be illegitimate regimes that would be judged as legitimate based on the prevalent beliefs, no matter how misguided or corrupt, of the population as well as legitimate regimes that would be judged as illegitimate. On the other hand, a purely normative theory, one that is not concerned with the existing standards of reasonableness constituting a community but only with setting out an ideal standard by which to judge argumentation, is vulnerable on two counts. First, it presupposes that there is a univocal reading of what constitutes reason. Yet if there are reasonable disagreements about the demands of reason itself, assuming that reason can not and does not univocally dictate our beliefs, desires, and inferences, then a purely normative account of reasonableness will be incapable of justifying itself in light of the pluralism of reason. That is, it will be seen by some as unreasonable. Second, in terms of the place of public justification in constructing democratic legitimacy, a purely normative account would be anti-democratic to the extent that it was not an organic extension of the peoples’ reason but a standard paternalistically imposed from above. The problem with both descriptive and normative accounts of reasonableness is that they fail to take into consideration the fact that reasonableness is a concept that is invoked by participants in argumentative discussions (again, I include argument theorists in this class) to do critical work. I think this is due to the tendency of both descriptive and normative theories to conceptualize reasonableness in epistemic terms. Arguments, from an epistemic perspective, aim at the achievement of justified assent, of warranted knowledge. Reasonableness, then, is defined in terms of what would be deemed as an epistemically serious, where the premises warrant the adoption of the asserted standpoint, justification by a rational judge (Siegel & Biro, 1997). Epistemic accounts of reasonableness begin by defining argumentation as oriented to producing mutual knowledge via an organized process of critical discussion. The analytic task is the specification of what it is that interlocutors come to know as the result of argumentation, with the specification of that object of knowledge as the realization of the analyst’s explanatory goal (Taylor, 1997). This object of knowledge refers the focus of normative accounts like Siegel and Biro’s (1997), as well as the interactional knowledge necessary to achieve a resolution of a difference of opinion; hence, the rules and units frame-work endemic to Pragma-dialectical accounts. Thus, reasonableness becomes a property of either arguments or speech act complexes. That is, we say that a particular premise or set of rules is reasonable inasmuch a rational judge deems them so. A rational judge would evaluate arguments and critical discussions in light of an apriori specified system of epistemic principles or codes of conduct that determines the reasonability of an argument. But who determines the reasonability of the principles and codes of conduct used by the rational judge to evaluate argumentation? 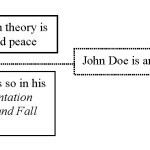 It seems that given the pluralism of reason this conflation of rationality and reasonableness in epistemic accounts, in both their descriptive and normative variants, constantly deflects our attention away from the methods that participants employ to ascertain and accomplish reasonableness, that is if the arguments and the arguers actually respect the fair system of cooperation designed to handle the interminable plurality of beliefs in a democratic society, to the task of delineating the hypothetical object known in common (a set of beliefs, epistemic standards or codes of conduct) by the interlocutors producing argumentative discourse. Yet, this object known in common is necessarily unspecifiable or empirically unverifiable given the fact of reasonable pluralism extends to the demands of reason itself. The problem with the conflation of the rational and the reasonable in epistemic accounts is that reasonableness is lost as a standard of judgment interlocutors use in the moment-to-moment unfolding of argumentation. Rather, reasonableness becomes a standard that is leveled after the fact and from outside the actual argumentation to determine its worth. The fact that reasonableness has no specification outside the particular principles of rationality posited by a particular argumentation theory or administrative system makes it an especially powerful tool for justifying any number of social policies. For instance in a study of the U.S. Supreme Court decisions surrounding hostile environment sexual harassment claims it became apparent that the court used the standard of reasonableness to justify a series of contradictory decisions as well claim the legitimacy of social processes that routinely silenced the claims of women and minority plaintiffs (Hicks & Glenn, 1995). This was not because the standard of reasonableness used by the court was not sufficiently normative; to the contrary, it was because the standard had no meaning that was separate from the legal principles used in that case. I wish to reclaim reasonableness as a critical standard invoked by participants in argumentation. By a critical standard I mean that reasonableness is used both normatively and reflectively by participants to manage the shape and trajectory of critical discussions. That is, arguing about reasonableness and using a philosophical conception of reasonableness to evaluate the form and content of each other reasons and conduct is a feature of argumentation itself. By employing reasonableness as a normative meta-discourse for talking about what they and their fellow interlocutors do, arguers categorize and characterize; they impose a descriptive grid on argumentative conduct and its agents (Taylor, 1997). Arguers do not simply invoke and dispute standards of reasonableness for the sake of description. In invoking a standard of reasonableness arguers are evaluating the character of the arguments, the event of argumentation and the agents involved in the argumentation. Participants invoke reasonableness to make distinctions between their own and others’ claims, to justify not having to answer particular claims, as a reason to support particular claims, in short as the basis for evaluative judgments. A philosophical conception of reasonableness serves at least three important functions in argumentative encounters: participants use it to (1) describe, critique and justify the norms regulating the inclusion and exclusion of group perspectives, modes of communication, topics, and knowledge claims in public deliberations; because (2) it functions as a standard by which the practices of public justification can be measured; and (3) it in turns informs the design of processes for both training participants and facilitating public communication. Reasonableness is a political and moral concept used by participants in the ongoing disputes that characterize life in a pluralistic society. I think that this warrants a the formulation of a public-political conception of reasonableness. One that is grounded in both the empirical details of argumentation as well as in our philosophical reflection. In fact, if what I have been saying is true, these two activities should not be seen as distinct. I now turn to setting out a public/political account of reasonableness as found in the ideal of public reason. Great values fall under the idea of free public reason and are expressed in the guidelines for public inquiry and in the steps taken to secure that such inquiry is free and public, as well as informed and reasonable. These values include not only the appropriate use of the fundamental concepts of judgment, inference, and evidence, but also the virtues of reasonableness and fair-mindedness as shown to the adherence to the criteria and procedures of common sense knowledge, and to the methods and conclusions of science when not controversial, as well as respect for the precepts governing reasonable political discussion (233-234). The ideal of public reason is the standard citizens in a pluralistic society hold each other to when advancing arguments about what constitutes the good. It is a standard that demands that citizens be able to explain their political convictions to one another in terms of a reasonable balance of public political values rather than by referring to comprehensive doctrines that may exclude others deepest convictions. That is, when citizens are called on to justify their political convictions and votes in public forums they should be ready to explain the basis for their actions to one another in terms that others could reasonably endorse as “consistent with their freedom and equality” (Rawls, 1993, p. 218). Public reason contrasts with the nonpublic reason of churches, trade unions, neighborhood associations and other institutions constituting civil society. Nonpublic reasoning might include premises about the authority of sacred texts and modes of reasoning that might appeal to the interpretive authority of particular individuals (Solum, 1993). Public reason also contrasts with the technical and instrumental reasoning of corporations, scientific communities and bureaucratic organizations. However, when these institutions address each other and the public at large in public forums they are expected to base their arguments on premises and modes of reasoning comprehensible and reasonably acceptable by all. Of course, citizens draw their political convictions from their religious beliefs, community membership, occupational identities, and other nonpublic commitments. Moreover, they ought to be free to do so. Yet, given the irreducible plurality of doctrines that define our moral, religious, philosophical, and political convictions, a standard of public reason is necessary to distinguish the legitimate from the coercive use of political power. The exercise of political power is justifiable and hence legitimate only when exercised in a manner that is consistent with the freedom and equality of all citizens. For Rawls (1993), this “liberal principle of legitimacy” imposes a duty of civility-the obligation that citizens, as well as public officials, explain their how the principles and policies, at least those that would affect others, can be supported by the values of public reason (217). The duty of civility and standards of public reason do not apply to personal deliberations or those of voluntary associations. But the ideal of public reason and duty of civility does hold for political advocacy in public forums and to how citizens vote in public elections when fundamental process of government (e.g., the powers of the legislature, the scope of majority rule) or basic liberties (e.g., suffrage, freedom of thought and expression, and the protections of the law) are at stake. The ideal of public reason is a distinctively political conception of reasonableness. From a political point of view an argument or argumentative practice is reasonable if it meets several conditions (Gaus, 1997). First, it must be consistent with the efforts to achieve and abide by a fair system of cooperation. Second, it must not attempt to repress competing reasonable arguments and doctrines. Third, it must recognize that what Rawls’ terms the “burdens of judgment” will necessarily lead to conflicting judgments about the nature of the good. That is, we must recognize that in our political disputes that the evidence is conflicting and complex, that participants will disagree about the relative weight of relevant facts, that our moral and political concepts are indeterminate and subject to hard cases that engender competing interpretations, that persons will evaluate claims in light of their experience and that experience not only differs among persons but subject to change within any one persons lifetime, and that in persistent public problems force us to select among our cherished values or restrict them in light of the needs and desires of others. Many of our political disputes have no clear or right answer. Therefore, it is unreasonable to put forth arguments which claim that there is a univocal interpretation of the problem and the requirements necessary for it solution. It is also unreasonable to argue for a suspension of a process of reflective and inclusive public debate and discussion for reasons of efficacy. The ideal of public reason advances a standard of reasonableness that is political rather than epistemic. Epistemic conflicts, which are inevitable in a system of free institutions, can be accommodated within the purview of an ideal of public reason. In fact it is this ability to accommodate epistemic conflicts that makes the ideal of public reason a purely politcal standard of reasonableness. The ideal of public reason, therefore, constitutes a critical standard of reasonableness that participants invoke to regulate their own and each other’s argumentative practices in two ways. First, it regulates the production of arguments by serving as a standard for self-evaluation. Citizens can use the ideal as a guide for determining which of their arguments are acceptable for public discussion. Second, the ideal of public reason regulates the evaluation of argumentation by serving as a standard for political criticism. One can criticize anothers’ arguments on the grounds that by resting on premises and modes of reasoning that can not be warranted by the standards of public reason they transgress the limits of civility. This second role, while not assuming nor justifying enforcement by the coercive use of institutional power, does not rule out the use of social pressure to encourage compliance with the standards of public reason (Solum, 1993, p. 733). By offering acceptable reasons and voicing disapproval of those reasons which transgress the limits of civility citizens can use the ideal of public reason as method of changing one another’s political behavior. Moreover, the procedures of public deliberation not only regulate disagreement but actually constitute citizens that have the capacity and desire to engage in critical discussion. Hence, debate governed by the ideals of public reason, by inculcating a democratic ethos, becomes a form of democratic paideia. Unlike purely descriptive accounts the ideal of public reason provides an account of reasonableness that is not simply a reflection of current public sentiment. To be sure, many people fail to recognize the distinction between public and nonpublic reasons, nor do they evaluate their own and others arguments according to this standard. Yet, people can, and sometimes do, recognize and accept these distinction in particular cases. The ideal of public reason is a normative standard designed to regulate public discourse. It is a critical standard of reasonableness whose application can be accounted for and critiqued. Therefore, it avoids the relativism of accounts that treat reasonableness as the reflection of a community’s argumentative practices. Unlike a purely normative account the ideal of public reason recognizes the plurality of reason. It does not presuppose a single standard of reasonableness, but is appropriate for conflicts where multiple philosophical conceptions of the reasonable are invoked and participants must do work to adjudicate between them. Public reason does not aim for the construction of a single norm to govern our political and moral conduct. Rather, when invoking the ideal of public reason as a critical standard of reasonableness we work to create the framework for forging an ongoing reflexive public consensus on how to speak and argue with each other. A political standard of reasonableness, then, permits not denies or avoids the differences engendering the deep conflicts present liberal democracies. A political standard of reasonableness, unlike epistemic conceptions, does not depend on the resolution of a difference of opinion or the acceptance of a conclusion based upon the premises given, but only that citizens continue to cooperate and compromise in public argument. It is precisely this continued cooperation that is at stake in forging a democratic life based on free and critical deliberation. Gaus, G. (1997). Reason, justification, and consensus: why democracy can’t have it all. In: J. Bohman & w. Rehg (Eds. ), Deliberative Democracy: Essays on Reason and Politics (pp. 205-242, ch. 7). Boston: MIT Press. Hearings (pp. 215-238, ch. 11). Urbana: University of Illinois Press. Kant, I. (1991/1784). An answer to the question: “What is enlightenment?” In: H. Reiss (Ed. ), Political Writings (pp. 54-60), Cambridge: Cambridge University Press. Keating, G. (1996). Reasonableness and rationality in negligence theory. Stanford Law Review, 48, 311-383. Rawls, J. (1989) The domain of the political and overlapping consensus, New York University Law Review, 64, 233-255. Siegel, H. & J. Biro. Epistemic normativity, argumentation, and fallacies. Argumentation, 11, 277-292. Solum, L. (1993). Constructing the ideal of public reason. San Diego Law Review, 30, 729-762. Taylor, T. (1997) Theorizing Language. Amsterdam: Pergamon. Unger, R. (1987). Social Theory: Its Situation and Its Tasks. Cambridge: Cambridge University Press.